The HortiCare nutrient tester is designed to test the levels of nutrient concentrations in solutions that feed plant roots. The unit will test the levels of other essential mineral elements in soluble form. This simple to use instrument is housed in a water resistant case, suitable for everyday use and features an easy to read 8mm LCD display. 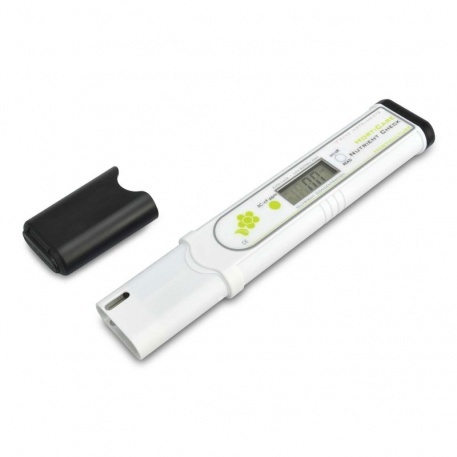 The unit measures EC (mS), cF or TDS (ppm) at the switch of a button. The HortiCare nutrient tester incorporates an automatic calibration feature. At the touch of a button, the instrument will automatically recalibrate itself when used in conjunction with 6.7 mS (67 cFor 4700 ppm) standard solution. 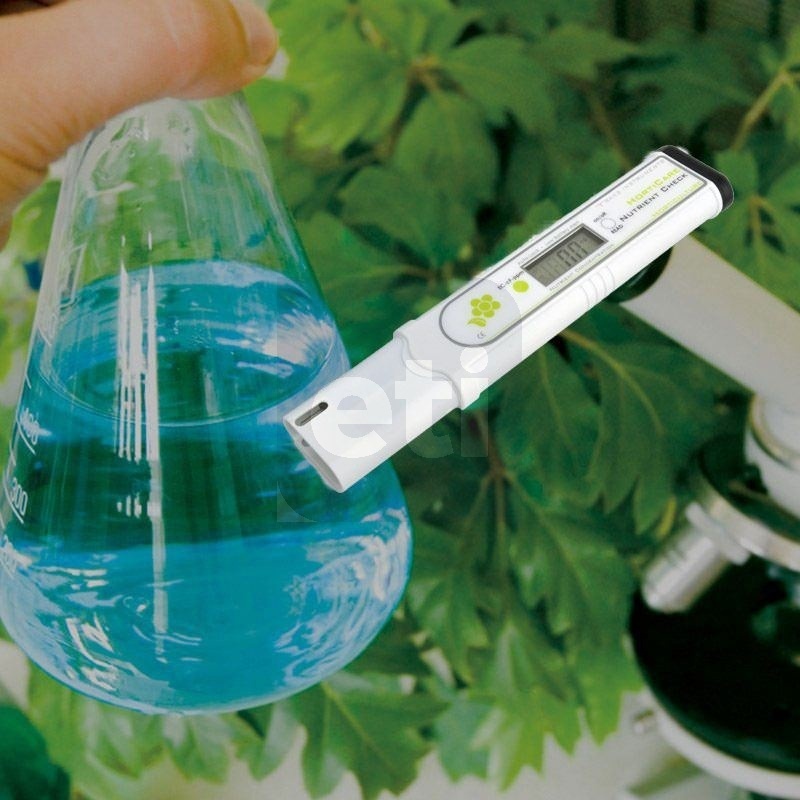 The HortiCare tester is ideal for testing the amount of dissolved solids (nutrients) in water. The ETI range of Conductivity Meters include TDS Testers and Nutrient Testers. 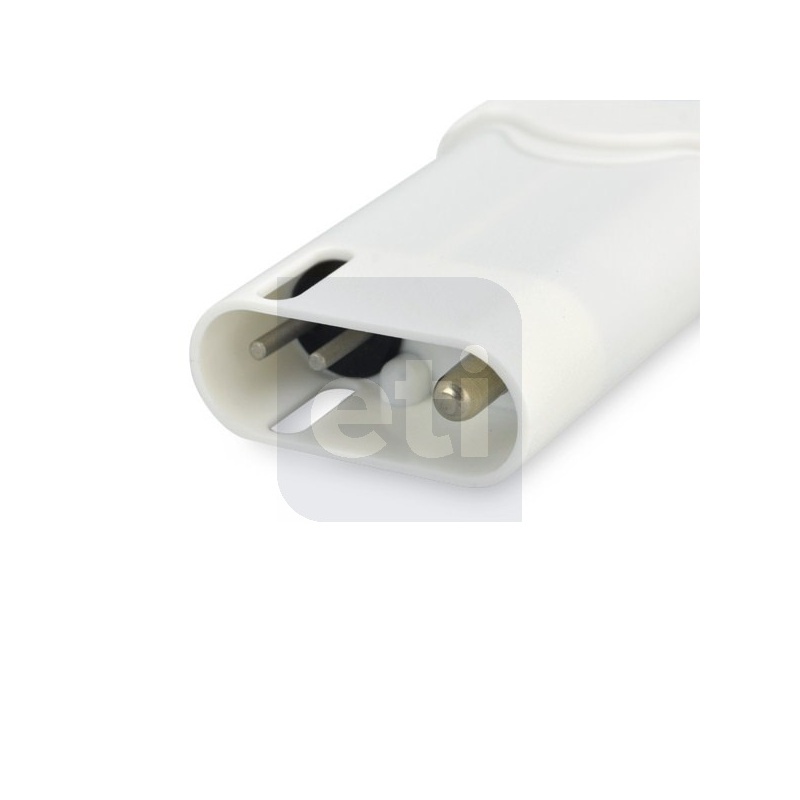 Storage: It is best to store cells so that the electrodes are immersed in deionised water. Any cell that has been stored dry should be soaked in distilled water for 5 to 10 minutes before use to assure complete wetting of the electrodes. The single most important requirement of accurate and reproducible results in conductivity measurement is a clean cell. A dirty cell will contaminate the solution and cause the conductivity to change. Grease, oil, fingerprints, and other contaminants on the sensing elements can cause erroneous measurements and sporadic responses. Electrodes can be cleaned using a mixture of 1 part by volume of isopropyl alcohol, 1 part of ethyl ether, and 1 part of HCl (1+1). After cleaning, thoroughly flush the cell with water. If the old platinum black coating to be removed, judicious application of aqua regia to the electrodes, or electrolysis in HCl is frequently successful. This should only be attempted by trained operatives. Electrodes can also be cleaned with detergent and/or nitric acid (1%) by dipping or filling the cell with cleaning solution and agitating for two or three minutes. Rinse the cell several times with distilled or deionised water and remeasure the cell constant before use.